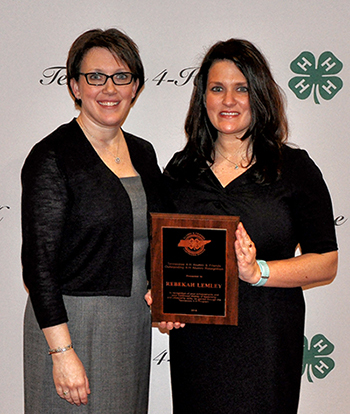 The Tennessee 4-H Foundation proudly offers several recognition areas for donors. Donations can be made by an organization, in memory or honor of an individual or at the corporate level. The Tennessee 4-H Foundation appreciates these individuals and organizations for their support throughout the years. Learn more about our donor societies. Giving to the Tennessee 4-H Foundation extends beyond monetary donations. We depend on volunteers and advocates around the state to help achieve our goals. Each year, honors like Friend of 4-H, Alumni Leadership Award and Outstanding Alumni Award are awarded to supporters who support 4-H Development around the state.